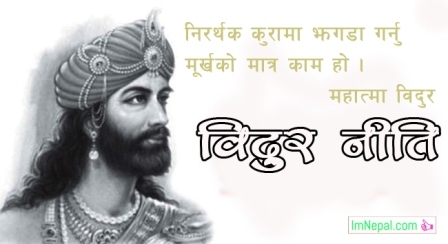 200 Inspirational Motivational Quotes in Nepali Language:- In the life of every human being, there are many more challenges. There are many interesting challenges we can find from his/her life if we go in deep. If you want to be a success, accept more challenges, risk, and responsibility. But this is universal facts that to be a success in life, motivation is most important things. 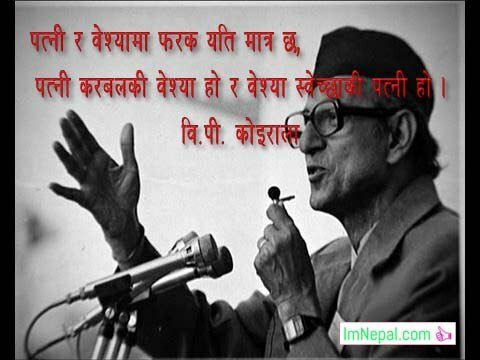 Here we have posted some inspirational quotes in Nepali language and font. There are many books available in the Nepali market. Dr. Yogi Bikasanand’s and Karna Shakya books are inspirational books. Bakashanand is one of the motivational speakers in Nepal. Best wishes from our imnepal.com team. First of all Why We Need Motivational quotes in our life? Why should we read famous motivational quotes? Well have all heard and read different motivational quotes and of course, we do have our own favorite quotes, don’t we?There are a lot of quotes till the date and is and will be increasing in the future. I, personally, am very interested in these motivational quotes. I like to read them a lot. In fact, I have even subscribed to the daily motivational quotes and I do have a feeling that many of you have subscribed to it as well. There is something about these motivational quotes that makes it so special. These quotes are something that can instantly make your day just by reading one sentence. That’s one of the beauties of these motivational quotes. So why should we read these motivational quotes? Do we need them in our life? Here I have come up with a short answer to these questions. A quote is something that is written or spoken or citing someone’s words with credit acknowledgment. Some of the lines from the illustrations or from the mouths of famous people that have great meaning, and are motivational are regarded as motivational quotes. One can not just say whatever he wants and make it as a quote. A quote can only be defined if he/she has been one of the successful people in his life. One who has achieved something in their life, only then their motivational words can be quoted. Besides, a man/ woman who has achieved something in his /her life, who has been a successful character and achieved glory, their words will always be powerful. They have been a roller coaster ride of their life and only then achieved glory, in the end, this may be the reason that their words are motivating. No wonder why their quotes are read by people. It is very hard to find the modern youths who have not ever heard or read any motivational quotes. These inspirational quotes have been a part of many success stories. Now and then, we can see different motivational quotes circulating around the social medias. No wonder why many of the youths are greatly affected by the motivational quotes. The Internet has really made this great big world a small place. So why exactly shall we read these motivational quotes? The answer to this question is motivation and inspiration. These quotes define the word of wisdom. Reading these quotes can instantly change your mood, it can instantly boost you up from 0 to 100. People go through a lot in their life, they have many questions in their brain that are unanswered and these quotes just might give them what they need. These quotes can trigger their brain and tell them that it’s not the end, everyone goes through a lot of struggle in their life. These motivational quotes have a tendency to inspire the people and get back on track. Only a single sentence can make them ready to battle and achieve their goal. We can see a lot of lecturers and philosophers using different quotes throughout their lecture because they know these motivational quotes can motivate and inspire the anyone. This modern world has given birth to many frustrated and depressed youths and many of these youths might turn into some of the motivational quotes for a little bit of boost for them to get back on track. Moreover, these quotes also carry some ideas or messages to the people. So these are some of the reasons that we should read these famous motivational quotes. These quotes hold a great meaning and great messages with different ideas that can inspire and change your mood instantly. These motivational quotes are the words of wisdom that can boost you up to get back on track to be successful and achieve your goal. So we should make habit of reading these motivational quotes because it might hold you up when you want to fall down. Here, I have mentioned some of the best motivational quotes. Hope you like it. You have to keep moving forward.” -Martin Luther King Jr.
milihalchha sab chhij tab feri koshish ke garnuhunchha? yadi sabai satya bhai halyo bhane sapana ke dekhnuhunchha? Things work out best for the individuals who influence the best of how things to work out. To carry on with an inventive life, we should lose our dread of being off-base. Trust since you will acknowledge the hazard, not on account of its sheltered or certain. Everything we could ever hope for can materialize on the off chance that we have the mettle to seek after them. Great things come to individuals who pause, yet better things go to the individuals who go out and get them. kunai pani aasha ko bina, sadhai sabaiko ramro garne koshish garnu..
asal friend haroo, asal book haroo, ra nidraa aaswasan ho, yini haroo nai ek siddh life ho. In the event that you do what you generally did, you will get what you generally got. Achievement is strolling from inability to disappointment with no loss of excitement. Exactly when the caterpillar thought the world was finishing, he transformed into a butterfly. Effective business visionaries are providers and not takers of positive vitality. At whatever point you see a fruitful individual you just observe the general population wonders, never the private penances to contact them. Nice Thoughts,really it motive the pepople. I am glad for writing to let you know what a brilliant experience my daughter enjoyed reading your site. She noticed so many things, which include what it is like to possess a wonderful coaching spirit to get certain people without difficulty learn a number of complex matters. You truly did more than people’s expectations. Thanks for presenting these helpful, trustworthy, educational not to mention easy thoughts on this topic to Ethel.